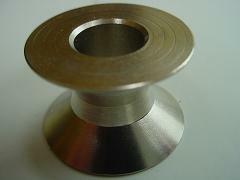 Stainless steel replacement fixed axle for the Sundia Fly (Wide) and Sundia Sun diabolos. Note: - This axle does not have the bearing part within it and cannot be used with the Fly bearing bolt (silver bolt) - you need the Fly fixed bolt (black bolt) from the original fixed axle Fly (or fixed axle set) for the correct Fly setup. 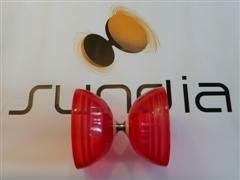 Also fits the Sun diabolo.